Fig. 1: The lower sanctuary with brush cleared and trenches open. Fig. 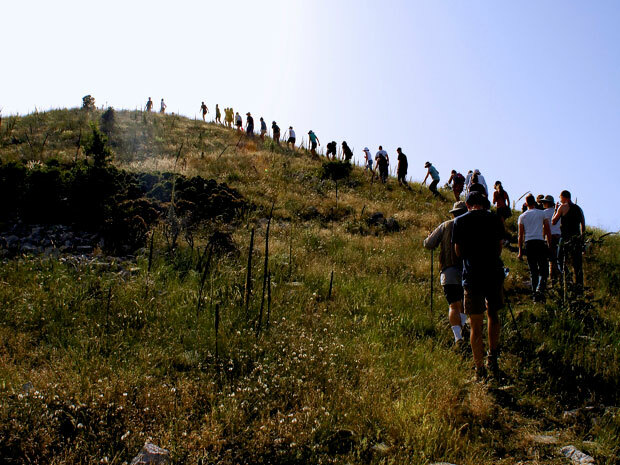 2: Hiking to the sanctuary of Pan. Fig. 3: An introductory hike to the altar. Fig. 4: A tour of the bath in the lower sanctuary. Fig. 5: The survey team finishing up for the day. Fig. 6: George Davis up on the altar. Fig. 7: Trench Z during the early stages of excavation. 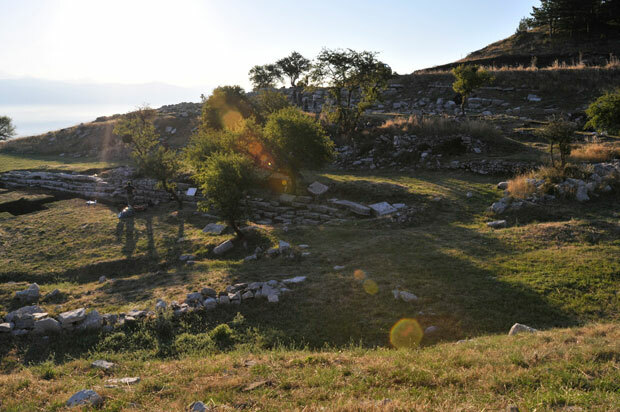 Between June 15 and August 3 excavation and survey work continued at the Sanctuary of Zeus at Mt. Lykaion, where investigations have been underway since 2004. 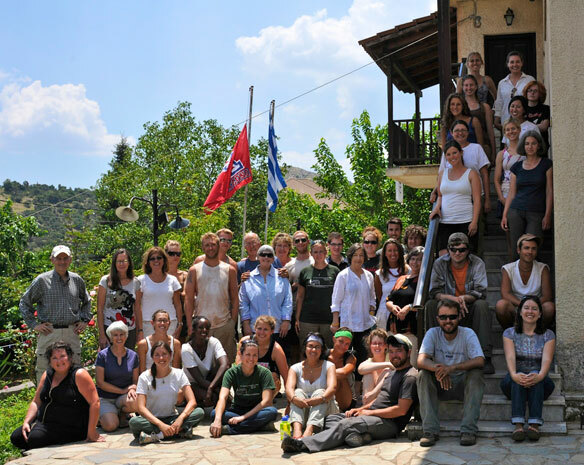 The team included specialists and students from several universities, but primarily from the University of Pennsylvania Museum of Archaeology and Anthropology and the University of Arizona, in collaboration with the 39th Ephoreia of Prehistoric and Classical Antiquities, Tripolis. 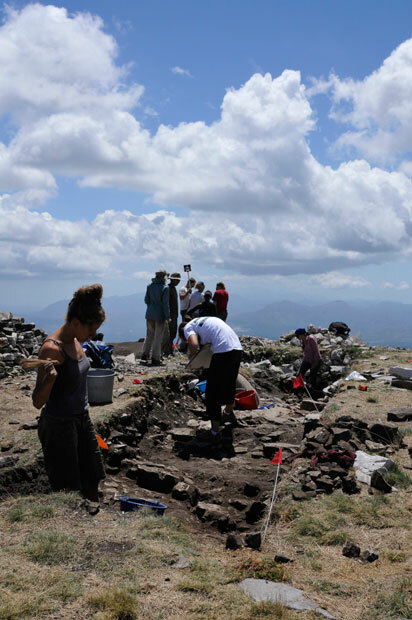 The co-directors of the project are Dr. Michalis Petropoulos, Ephor of Antiquities of the 39th Ephoreia, Dr. David Gilman Romano of the University of Pennsylvania Museum of Archaeology and Anthropology, and Dr. Mary Voyatzis of the University of Arizona. In addition, Anastasia Panagiotopoulou, Director of the Archaeological Institute of Peloponnesian Studies in Tripolis, has been one of our collaborators from the outset of the project. 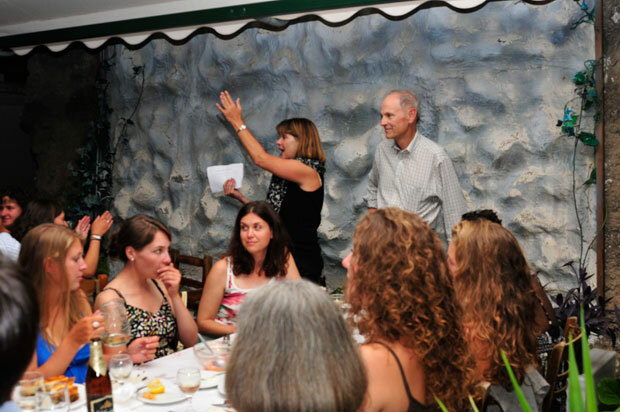 The work was carried out under the auspices of the American School of Classical Studies at Athens and the American team was supported through the continued generosity of individuals, foundations and Greek-American supporters from the United States. The financial support of Mr. and Mrs Nicholas Karabots of Fort Washington, Pennsylvania and Ms. Annette Merle-Smith of Princeton, New Jersey, continue to be instrumental in allowing the project to take place. 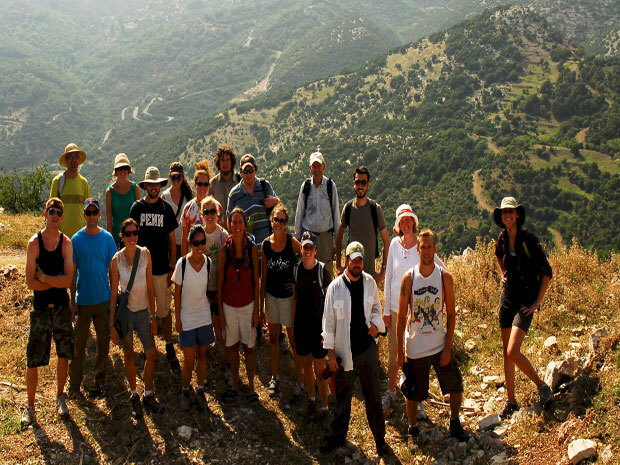 The Greek-American team, which consisted of up to 55 students and staff over the course of the summer, stayed in village accommodations in Ano Karyes and in nearby Kastanochoroi. The generous and cordial assistance given to all members of the project by the Politistikos Syllogos of Ano Karyes, and its President, Mr. Christos Koumoundouros, continued to make it possible for us to live comfortably in the region and to carry out our work at Mt. 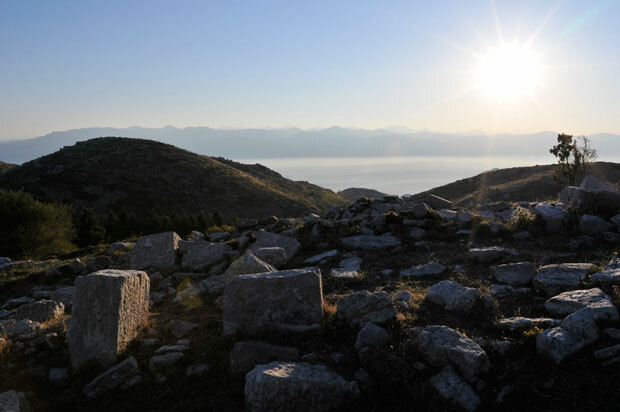 Lykaion. 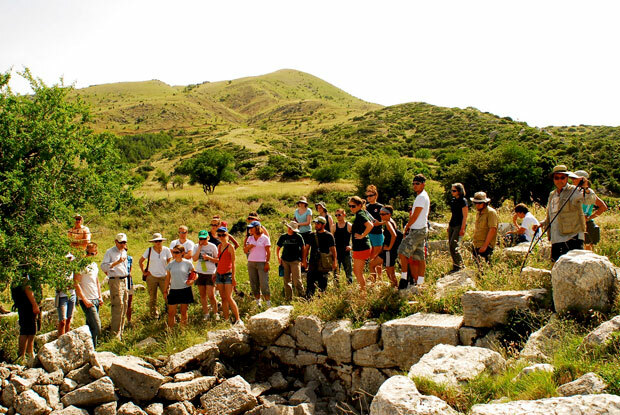 Our 2010 investigations had numerous components including continued scientific excavation, topographical and architectural survey work, geological survey, faunal and floral analyses, chemical residue analyses, architectural documentation, planning for the heritage park, and museum and conservation activities. 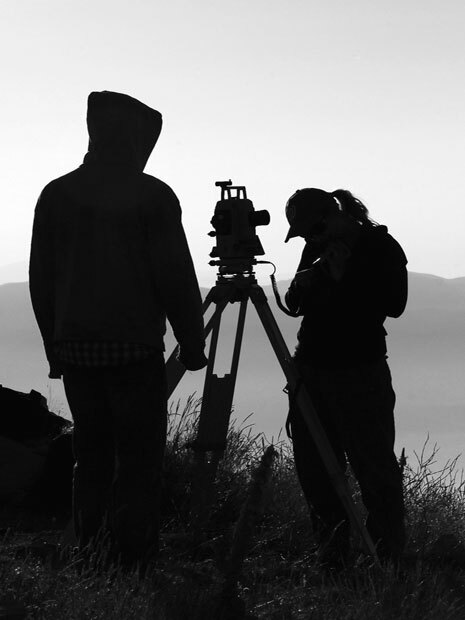 Two topographical survey teams, one at the summit of the mountain and the other in the lower mountain meadow, assisted with excavation recording. The topographical survey teams also worked closely with the architectural team, which continued to document all of the architectural blocks at the site. The architectural team, comprised of six architectural students, worked on the documentation of the 67 m. long stoa, the 39 m. long series of seats to the north of the stoa, the nearby fountain house, the 'corridor' in front of the 'xenon’ building, and the bath building. One of our architectural students was funded by the Samuel H. Kress Foundation as was our conservator Ms. Terri Moreno of the Arizona State Museum. A team from the 39th Ephoreia cleared a portion of the ancient Agno Fountain, halfway between the lower and the upper levels of the sanctuary. 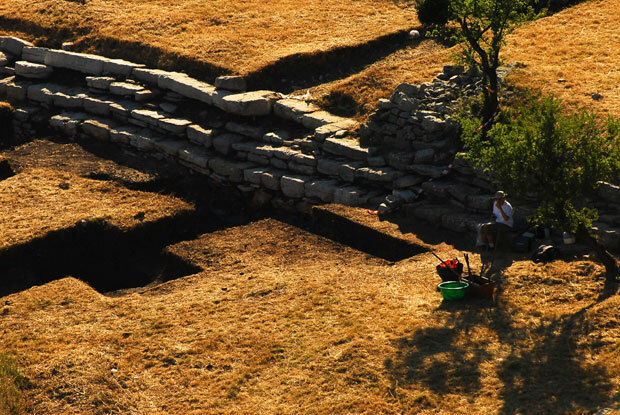 Excavation from 2009 was continued in several trenches and several new trenches were begun. At the altar we continued Trench Z, extending the trench to the north as well as expanding it to the east in several different areas. Stratigraphic sequences continue to reveal evidence for the earliest activity from the altar, dating from the prehistoric period and including pottery from the Late Neolithic, Early Helladic, Middle Helladic, and the Late Helladic periods, most of it mixed with burnt animal bones. 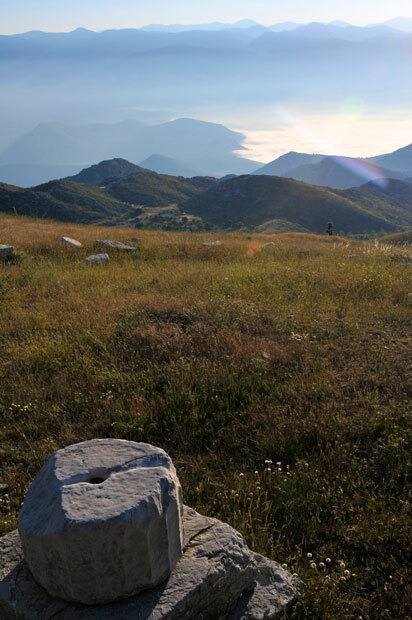 The Mycenaean material includes large numbers of kylikes, deep bowls, stemmed bowls, cups, askoi, human and animal figurines of terracotta and other small finds. 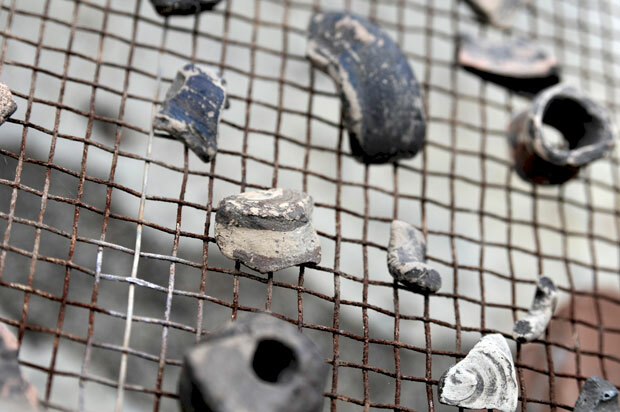 Above this level we continue to find Sub-Mycenaean and Dark Age material, and above that, Geometric, Archaic, Classical and Hellenistic sherds, in what appears to be a continuous sequence. 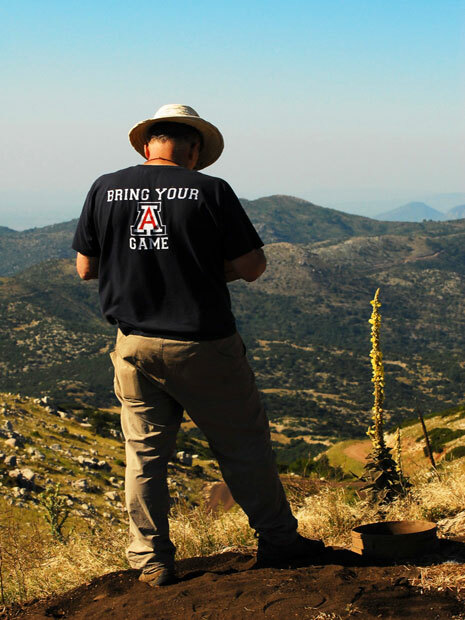 Bronze tripods, coins, metal objects and miniature dedications were discovered. Trench ZZ, approximately 10 m. to the south of Trench Z was extended toward the northeast. 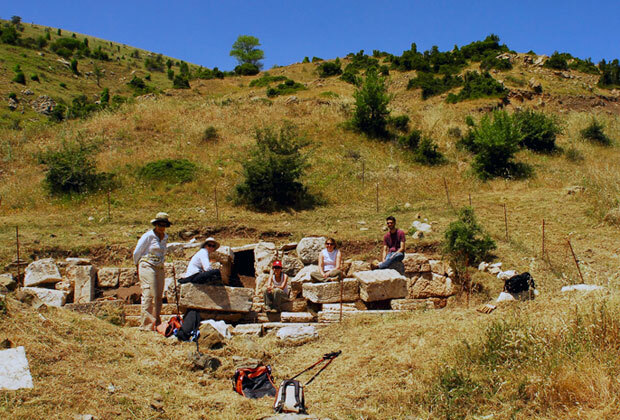 Our work at the altar was supported in part by a grant from the Institute of Aegean Prehistory. Finally, 50 m. below the altar, to the south of the southern summit, we initiated Trench KK where there may have been a roadway or a dromos. In the lower sanctuary Trench G was continued in the area to the north of the seats. Trench N was extended to the northeast of the ‘xenon’ exposing more of the sub-surface open air corridor. Multiple trenches, DD, EE, FF, L, M, N and O and their extensions in the area of the 67 m. long stoa revealed more of the front and interior foundations of the building as well as the western end. A new trench, GG, was dug in the vicinity of the statue bases to the east of Trench G. Trench JJ was excavated in the fountain house. In the area of the hippodrome we opened Trench HH and found a portion of the surface of the hippodrome floor. On August 1, the Mt. 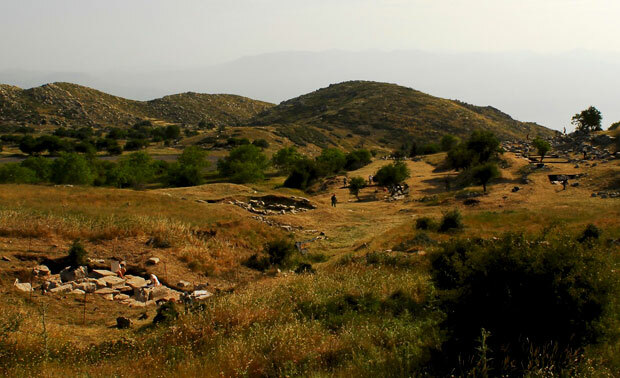 Lykaion Excavation and Survey Project hosted a workshop, in the Cultural Center of Megalopolis, at which the proposal for the Parrhasian Heritage Park of the Peloponnesos was presented and discussed. 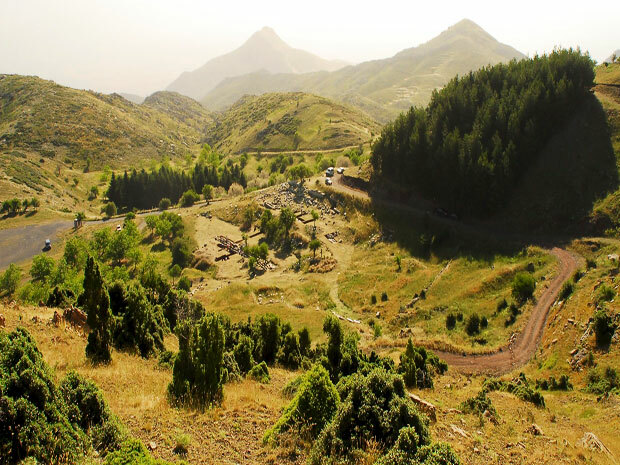 The park would serve to protect and unify the ancient cities and sanctuaries in the area of Western Arcadia, Northern Messenia and Southern Elis. 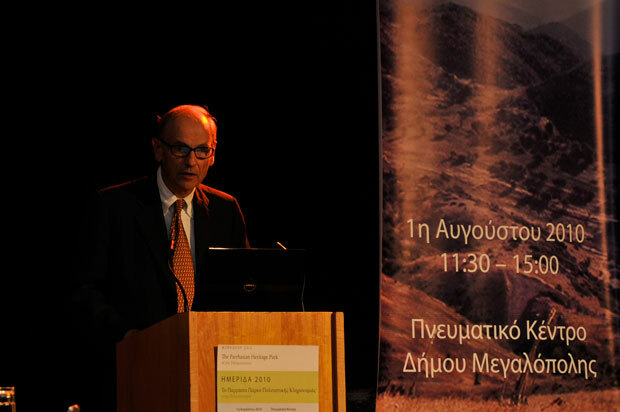 This conference was well attended (200-300 individuals) and was represented by the Tripolis Ephoreia and local and regional government leaders of Greece. Dr. Michalis Petropoulos, Ms. Anastasia Panagiotopoulou, Dr. Mary Voyatzis, Dr. David Gilman Romano, Dr. Costas Cassios, Mr. Mark Davison and Ms. Ximena Valle gave presentations at the event. 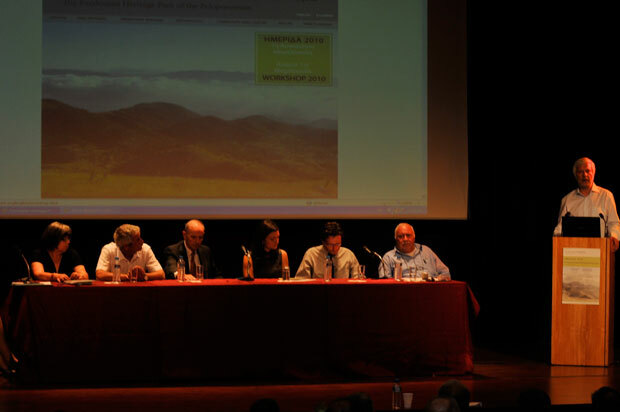 The audience participated in a lively discussion with the presenters at the end of the event and broad and enthusiastic support was expressed for the establishment of such a park in the region. 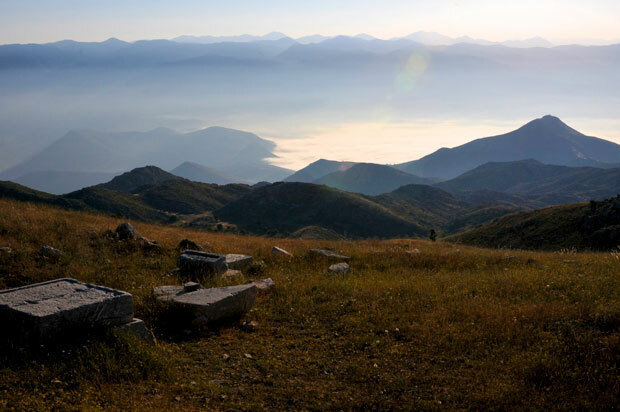 Finally the project has leased an apotheke in Tripolis for the finds from the Mt. 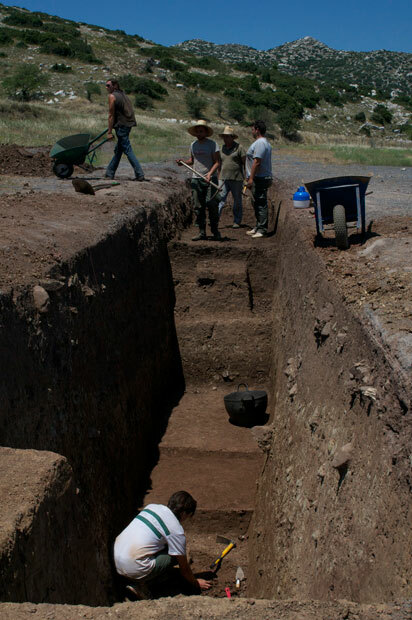 Lykaion Excavation and Survey Project. We will undertake our study seasons for the next two summers at this site. This text summarizes the work of the Mt. Lykaion Excavation and Survey Project conducted during summer 2010. A full color version of the brochure with Greek and English text, photographs and maps can be downloaded here.